A couple days ago my people in my home argued – like many people all over the world it seemed- about the color of this dress. I think I am the only freak in the bunch who saw light blue and brown – not gold and white and certainly not blue and black! What they heck were people seeing? My family thought I was odd. I wasn’t seeing what anyone else saw. I still wasn’t sure if this was one of those internet trick things or part of one of those quizzes you take to see what city you should live in, or what TV character mom you are (I like Claire Huckstable from Cosby, but a new modern day fave is Rainbow on Blackish – but I think I live more like Frankie on The Middle). 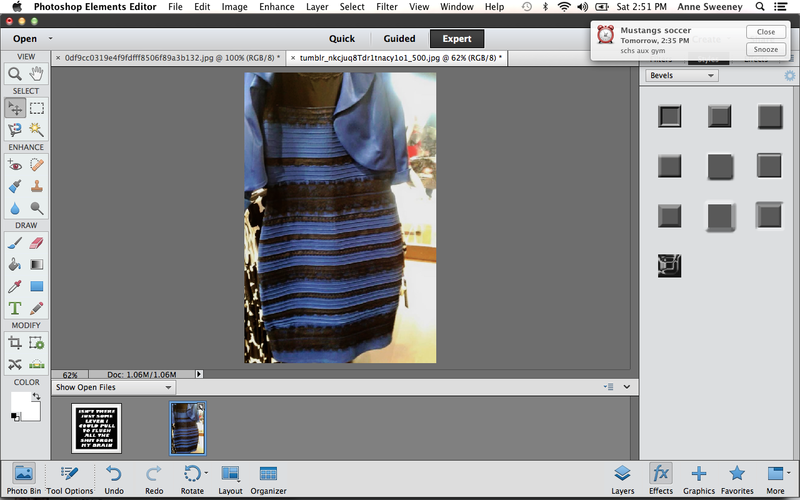 Anyway, “The Dress” as it turned out was not a quiz but it was a big internet argument all for fun. I like me some fun! Still, I could not figure out why I saw light blue and brown! 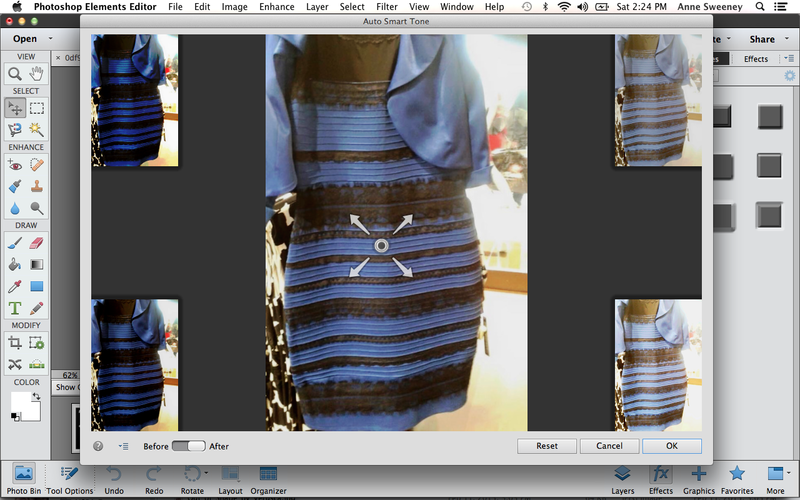 My husband’s workmates (all work remotely) were emailing back and forth all day about the color of this dress! Later in the day my husband brought the photo into the kitchen to show my daughter and then finally I saw gold and white! A few things struck me. 1) at least I finally saw the colors that people were saying they saw- I am not a complete freak. 2) Why did I see it as light blue and brown in the first place? and 3) why in the heck was the world so enthralled by this topic anyway? We humans are a funny bunch. The things that capture our attention and that will draw us together for fun arguing and banter amaze me. This is what makes me love humans so much. We can come together if we really want to. Did the lady who bought the dress know this photo would go viral? If I had just perused past that picture someplace I wouldn’t have thought much of it. But the conversation that it spawned interests me very much. 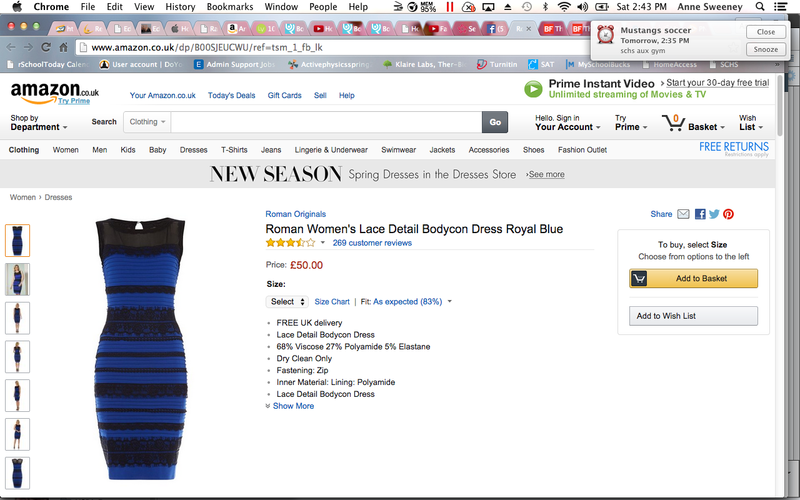 By now the world knows that this dress is really dark blue and black. 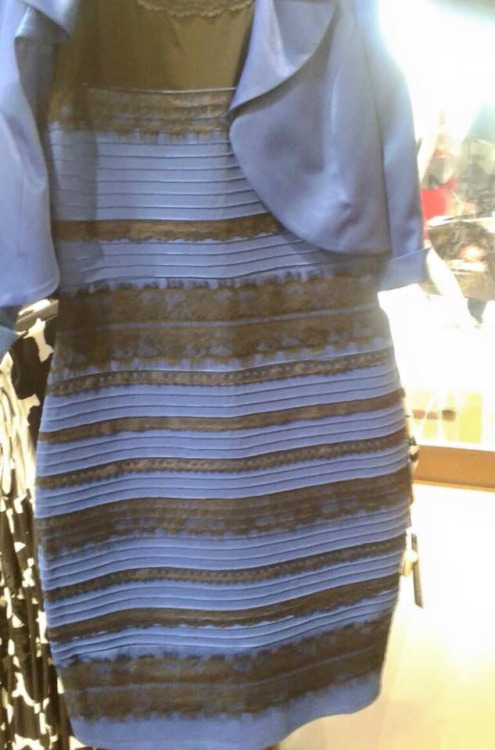 I never came close to seeing dark blue and black. As far as the science behind the why we all see a variation in colors you can click here. There are a number of explanations- some I didn’t understand and I am an amateur photographer. I should understand color and I do(I think) but some of the explanations were way scientific and stuff. It basically has to do with how your brain filters color. So I tried to pick a simple explanation. Then I grabbed the pic of the internet and saved it onto my laptop. Then, I dragged it into my photo editor. I wanted to see what it thought the photo should be. Ah! You can see that black and blue in the upper left corner. You can see gold and bright white on the lower right. But there on the lower left you can see it! Light blue and brown. Validation I am not a freak! I am going to believe I have a special brain and it sees in a super spectacular way. And there is of course that I had those special intra-occular lenses put in a while back during cataract surgery. Maybe I have bionic eyes now! Here is what auto color correct wanted to do-it wasn’t sure what to do so it tossed a little blue making the white look gray. It was just as confused as our brains are over this one! I know one thing. 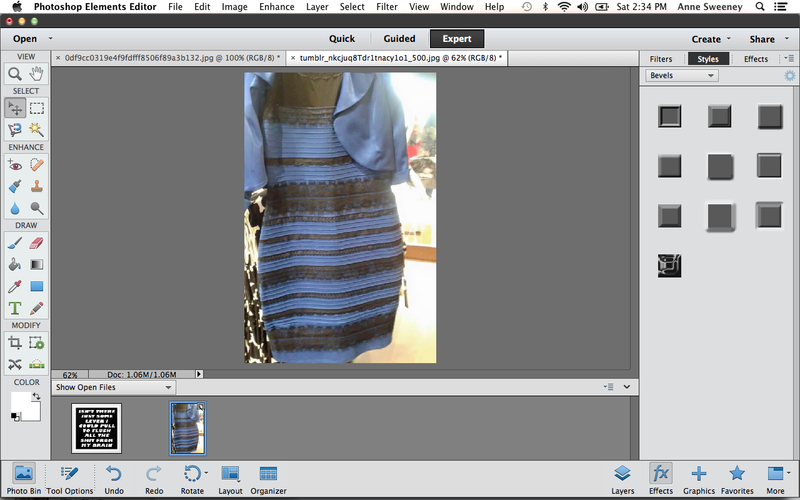 I am tired of seeing this dress now that I worked it to death in my photo editor!